I often have a hard time tossing out the labels and like to put quick cards together. They're always colored so nicely too! 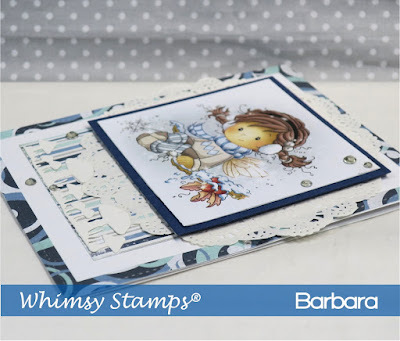 This is Holly from Whimsy Stamps and she's adorable. I'm in the process of coloring her up on the side but had to put together this quick card. 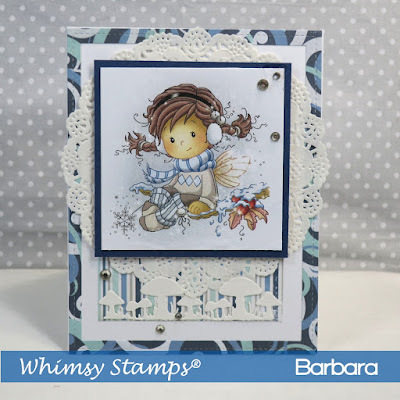 This and other Whimsy Stamps are available at Little Miss Muffet Stamps. Happy Thanksgiving everyone! 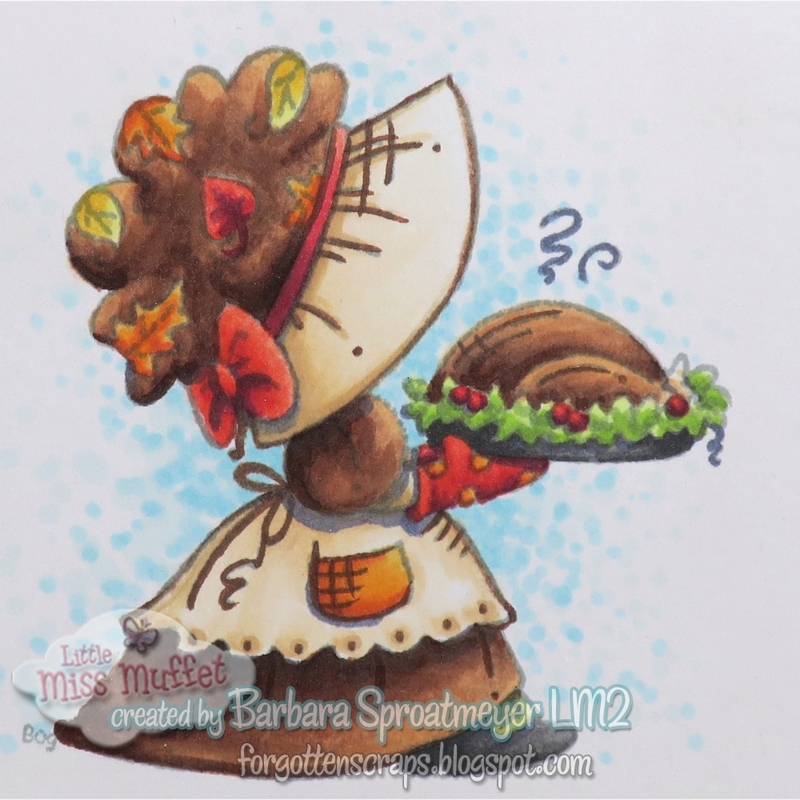 I brought out an ol' favorite of mine and colored up Fancy Sunbonnet Thanksgiving rubber stamp from Little Miss Muffet Stamps. Mmmm, I can smell that turkey! 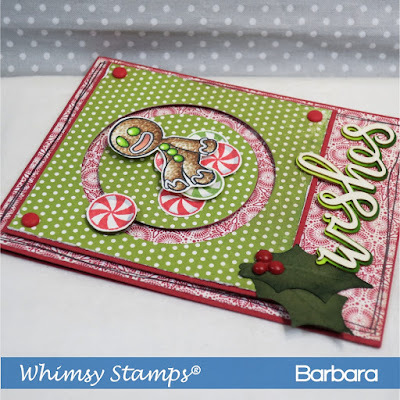 I've been waiting to use the Slip 'n Slide Die Set from Whimsy - er, rather, it's been waiting for me patiently sitting on my desk. Well, I finally got around to using it and it's been so much fun. 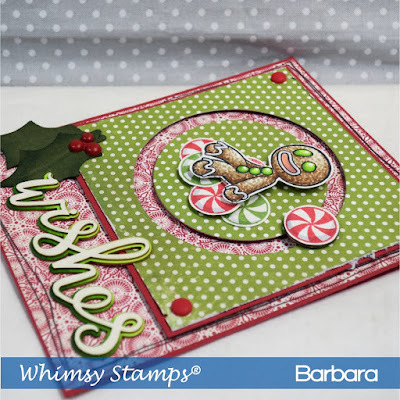 I used the large circle and combined it with the new GingerSnaps! clear stamp. 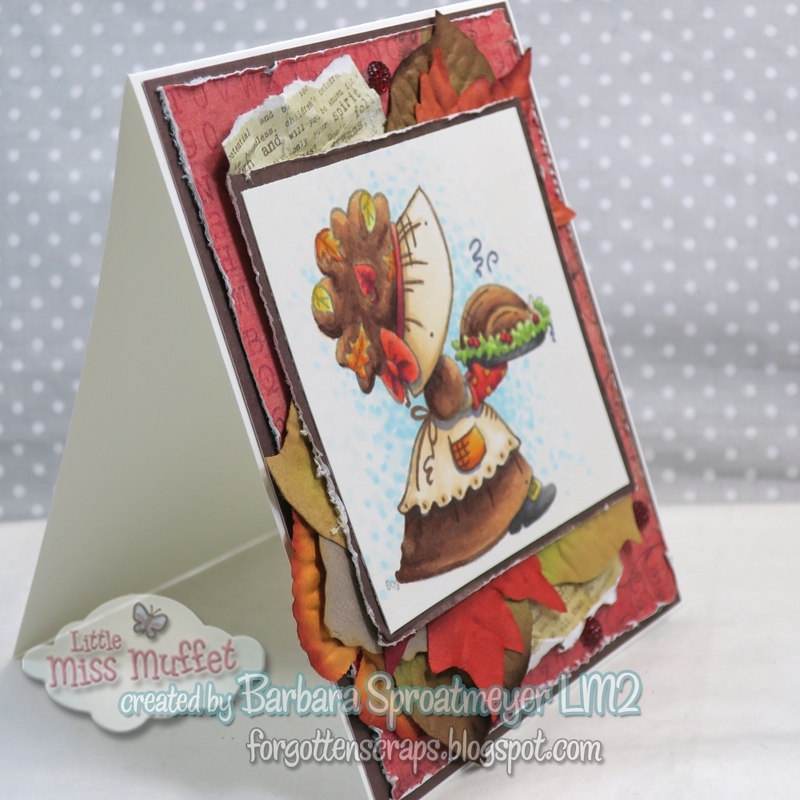 It's been ages since I've created a motion card so I had a few mistakes here and there that needed to be fixed. The biggest one was adding weight to the spinner so it would spin on it's own... in this case I used a dime. Lastly, I colored and used the Wishes Word Chipboard from Make it Crafty. I'm working on a few mail-able Christmas cards which means I'm trying to keep them flat and not square. 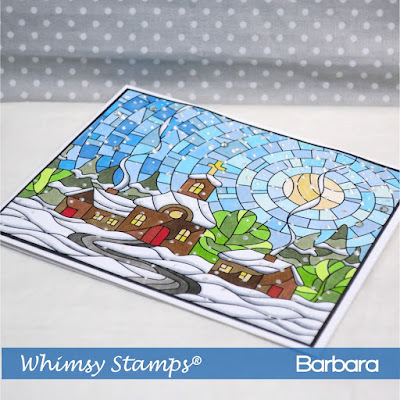 The new Stained Glass Village rubber stamp from Whimsy Stamps fit perfectly for this and I was excited to color the sky on this one. 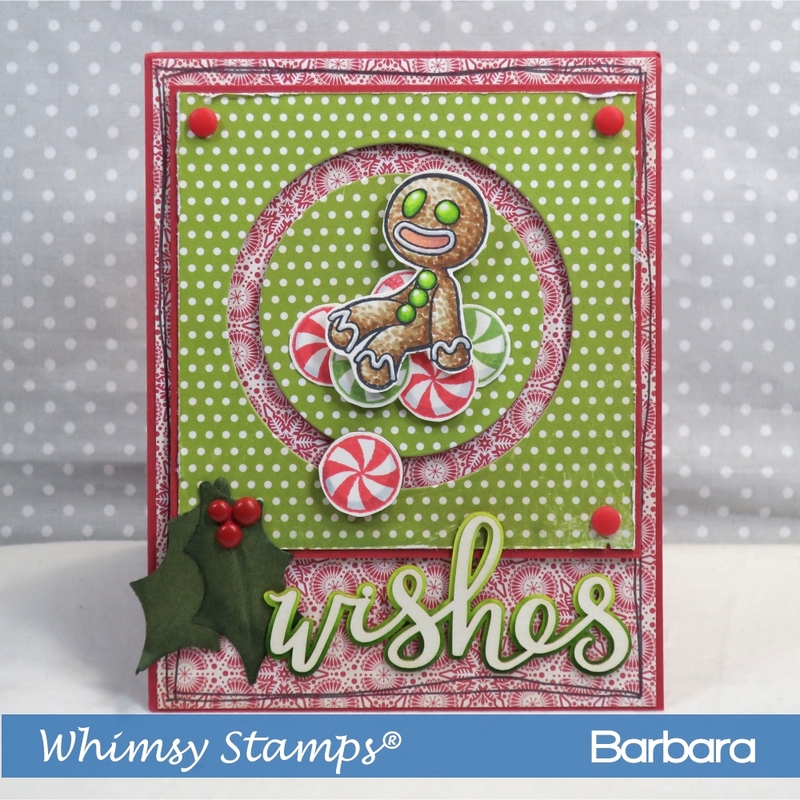 For embellishments, I added a few gems then dotted Liquid Pearls all around for falling snow. 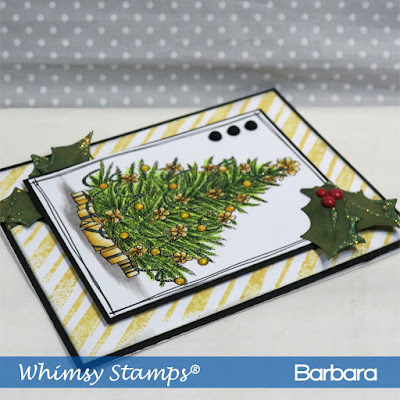 It's new release week at Whimsy Stamps and I'm excited that the DoveArt Winter Pines is included in the list. 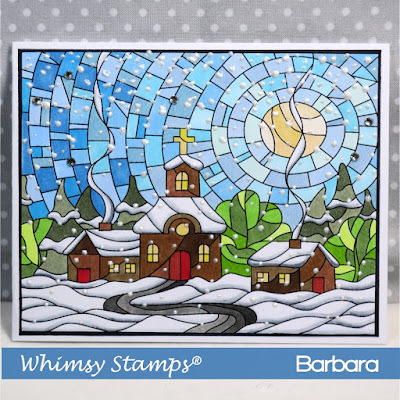 This is such a fun stamp and can be used on it's own but also in the background with other stamps. 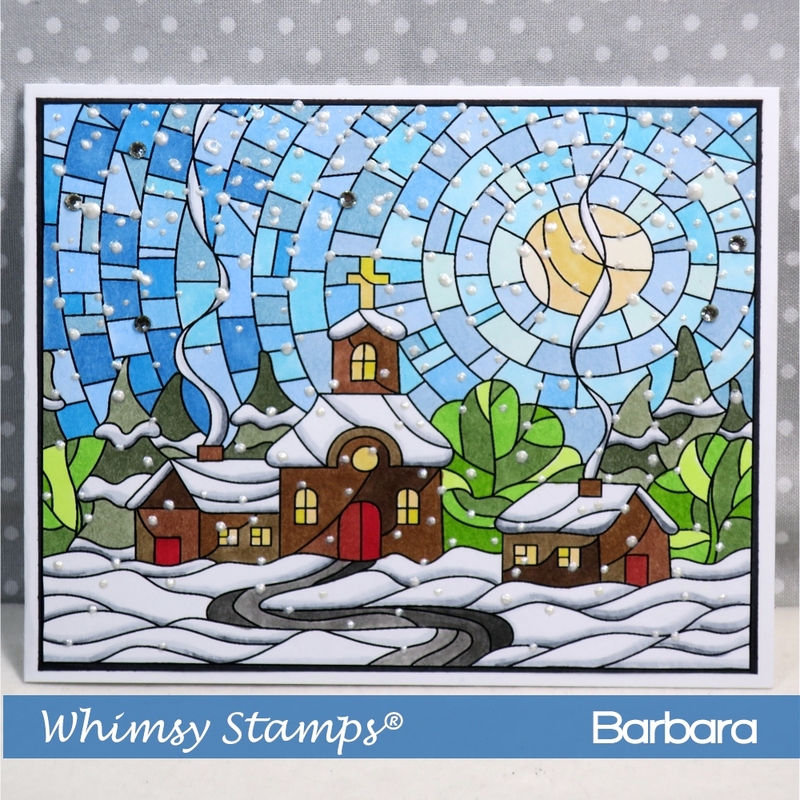 I've already created two cards with it that I wanted to reshare to give some inspiration for the release. 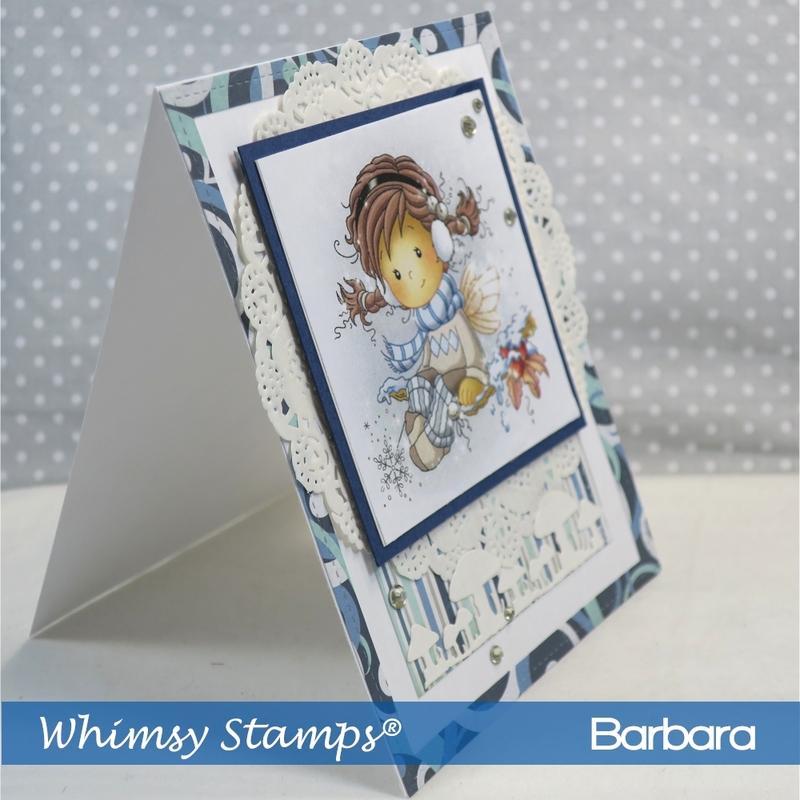 You might be surprised how this first one was create - very quick! 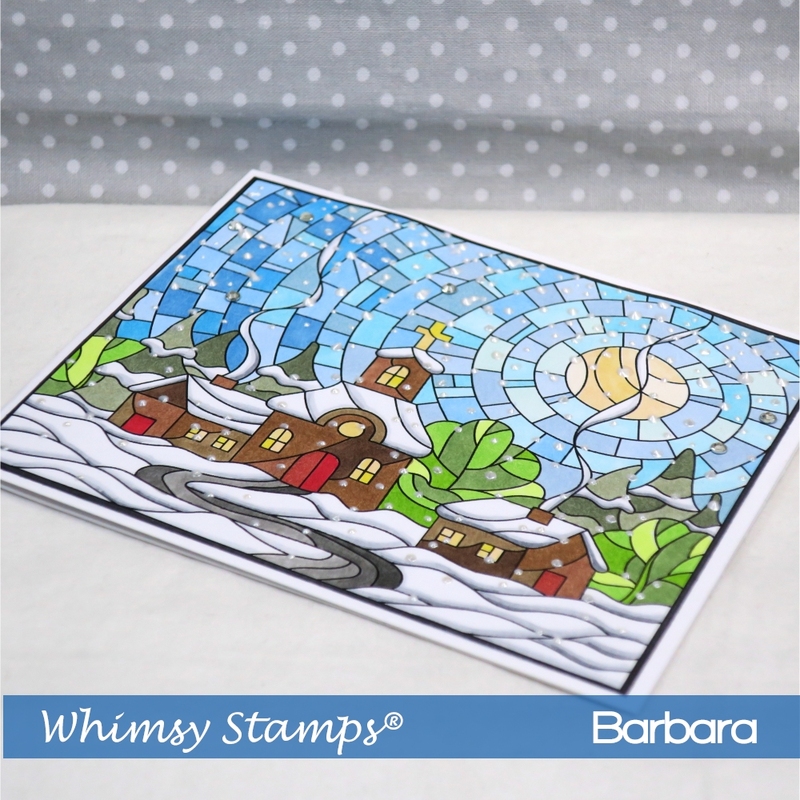 This one was my favorite and was done with pencil on craft paper. 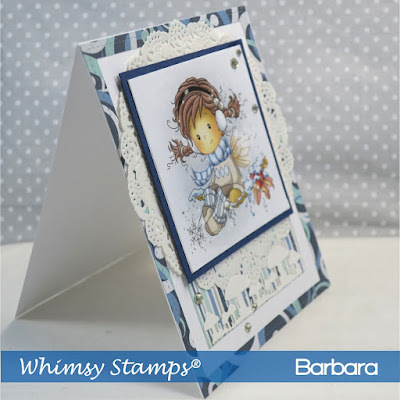 These and other Whimsy Stamps are available at Little Miss Muffet Stamps. Somewhere I got the idea to make a gold Christmas card and this Christmas Tree stamp seemed to fit the theme. 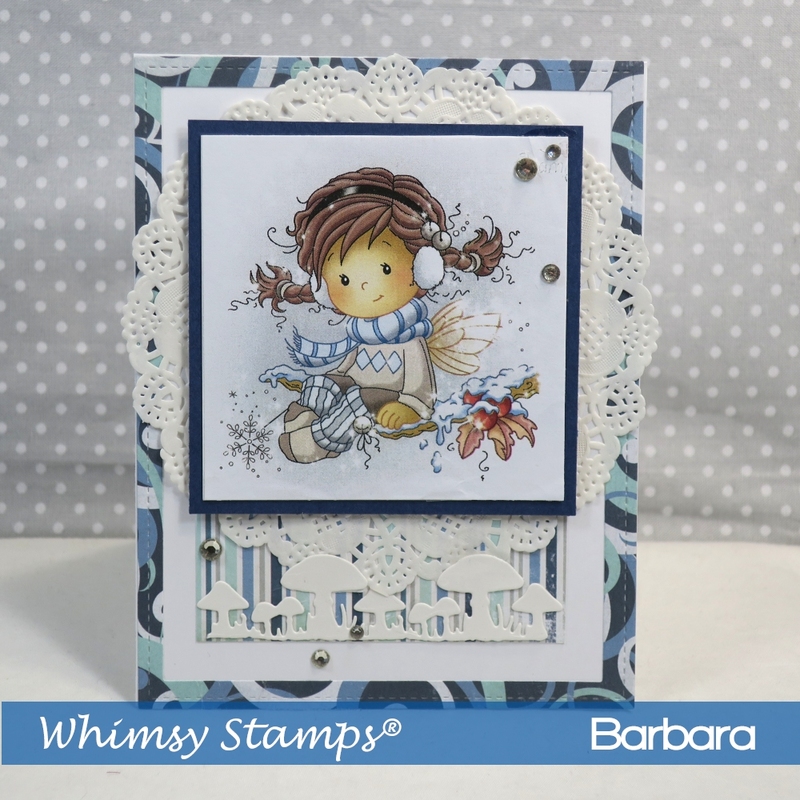 I stamped the background with the Brushed Stripes Background stamp and then built the card up from there. 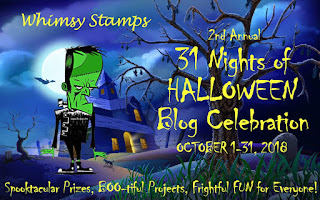 Both of these are fabulous rubber stamps from Whimsy Stamps. The holly leaves were from my stash and I embellished them plus the accessories on the tree with glitter Stickles. I used Scattered Straw distressed ink for the background. 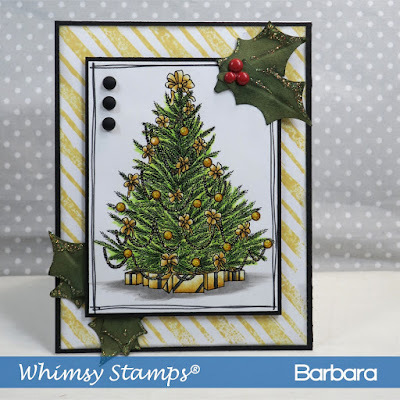 The Christmas Tree and other Whimsy Stamps are available at Little Miss Muffet Stamps. 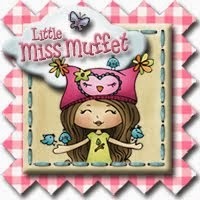 Owner and artist of Little Miss Muffet Stamps! ... 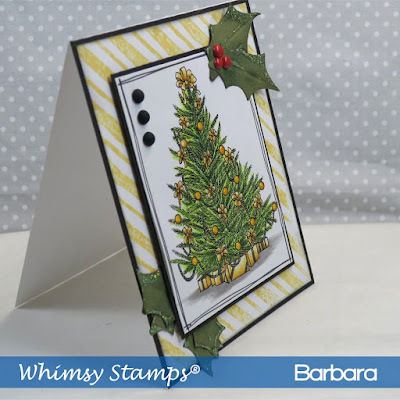 Stamping fanatic, paper enthusiast, Cricut dabbler, embellishment groupie and a Copic fan... mix and take daily! 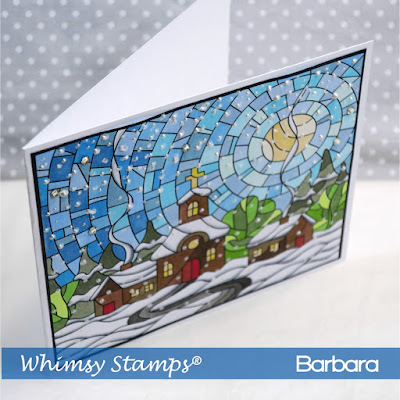 Images and content copyright Barbara Sproatmeyer. 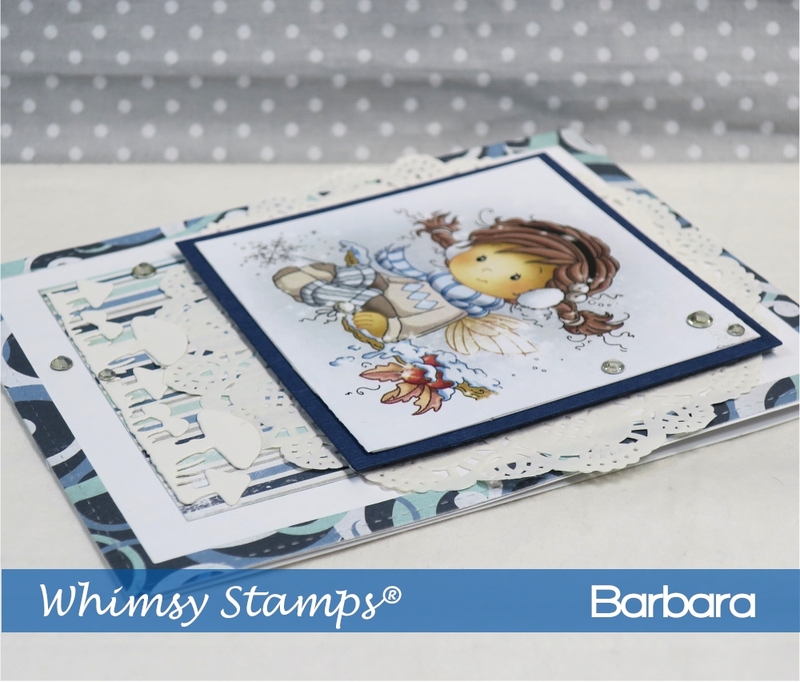 A stamp a day keeps the stress away! On occasions, I am generously provided with complimentary or discounted products for promotional purposes from other companies. However, I use these products out of enjoyment and I freely publish my personal opinions, be it yea or nay. 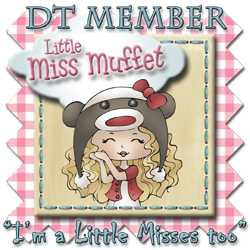 On this site, I also promote my own artwork and products through Little Miss Muffet Stamps.